Lightroom 5.7 and Camera Raw 8.7 are now available as a final releases on Adobe.com and through the update mechanism in Lightroom 5 and Photoshop CC respectively. The goal of each release is to provide support for additional camera raw support, lens profile support and address bugs that were introduced in previous releases of Lightroom and Camera Raw. Adobe have also added a number of new lens profiles for Canon, Fuji, Leica, Nikon and Sony. 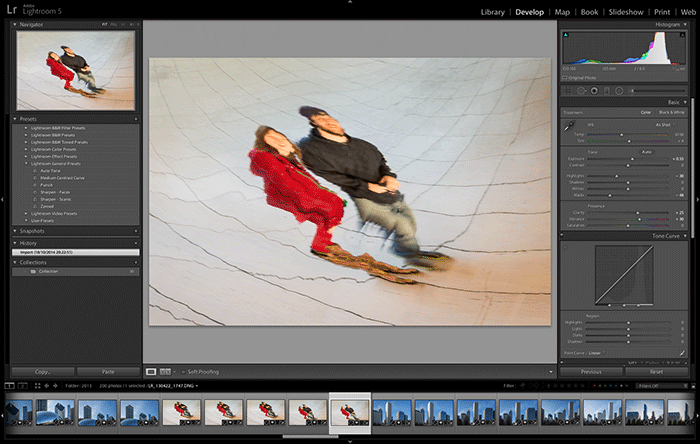 ICC profiles resulted in incorrectly clipped shadows and blacks in Lightroom. Note that this is related to the issue identified here and only occurs on Mac OSX 10.9 and later. Sync with Lightroom mobile sometimes stalled when asset is added to same album on both LrM and LrD and later deleted. This entry was posted in Adobe, Adobe Camera Raw, Adobe Creative Cloud, Adobe Photoshop, Adobe Photoshop Lightroom, Creative Cloud, Lightroom mobile, Lightroom Web. Bookmark the permalink.